LOS ANGELES — The federal judge overseeing the U.S. government's efforts to reunify more than 2,500 migrant children it separated from their parents ordered a temporary hold on deportations for reunified families on Monday. The government said last week that it had reunified all 57 eligible children under age 5 covered by Sabraw's original reunification order, excluding those whose parents had been deported or have criminal records, one day past Sabraw's initial reunification deadline for young children. Most of the parents reunited with young children were released with ankle monitors pending court hearings, according to government lawyers. Government officials told Sabraw that 2,480 of the older children have been matched to a parent; 918 of those children's parents have been cleared by government agencies and are expected to be reunified by the July 26 deadline. In its filing on Monday, the ACLU said Attorney General Jeff Sessions's new asylum guidelines will make it harder for the reunited families to claim asylum. 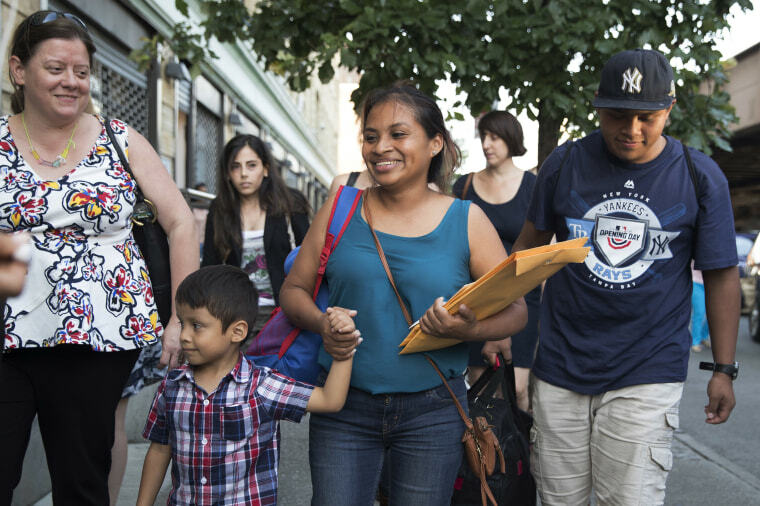 Many parents have had to choose between deportation with their children or leaving their child in the U.S. with hopes that they would win their asylum case.